Cleveland Cavaliers center Tristan Thompson (13) argues a call with referee Matt Boland (18) during the first half against the Golden State Warriors at Quicken Loans Arena in Cleveland, Ohio. 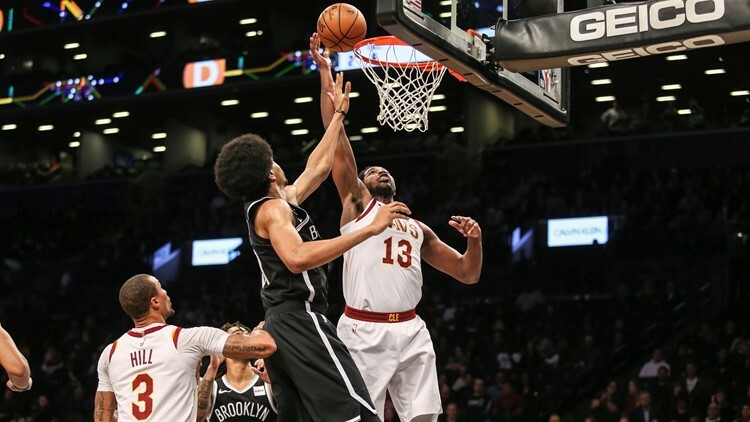 CLEVELAND -- Cleveland Cavaliers center Tristan Thompson is a little lighter in the wallet after Monday’s 99-97 win over the Brooklyn Nets at Barclays Center in Brooklyn, New York. Thompson was fined $15,000 by the NBA “for making an inappropriate gesture toward a spectator” at the end of the Cavaliers’ fifth win of the 2018-2019 regular season, according to Kiki VanDeWeghe, the NBA’s Executive Vice President, Basketball Operations. Chris Haynes of Yahoo! Sports was the first to report Thompson’s fine. 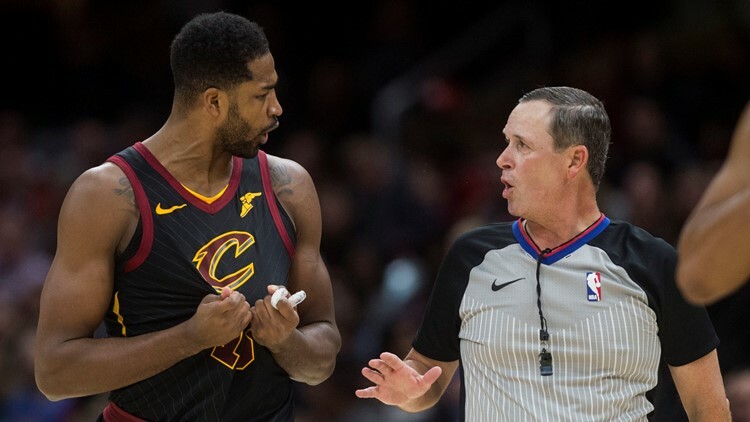 The NBA has fined Cleveland forward Tristan Thompson $15,000 for making an obscene gesture at a spectator in a game against Brooklyn on Monday. Thompson played 34 minutes against the Nets and finished off his 14th double-double of points and rebounds of the season with 19 markers and 14 caroms. Thompson was eight of 11 from the floor and three of four at the free-throw line in the win over the Nets. Cleveland Cavaliers center Tristan Thompson (13) grabs a rebound in the first quarter against the Brooklyn Nets at Barclays Center in Brooklyn, New York. Currently, Thompson is on pace for a career year with the Cavaliers, as through 24 games, all of which have been starts for the seventh-year professional, he has averaged 11.8 points and 11.8 rebounds over 30.4 minutes per contest. The No. 4 overall pick in the 2011 NBA Draft out of The University of Texas, Thompson is shooting 53.5 percent from the field and 61.5 percent at the free-throw line this season.